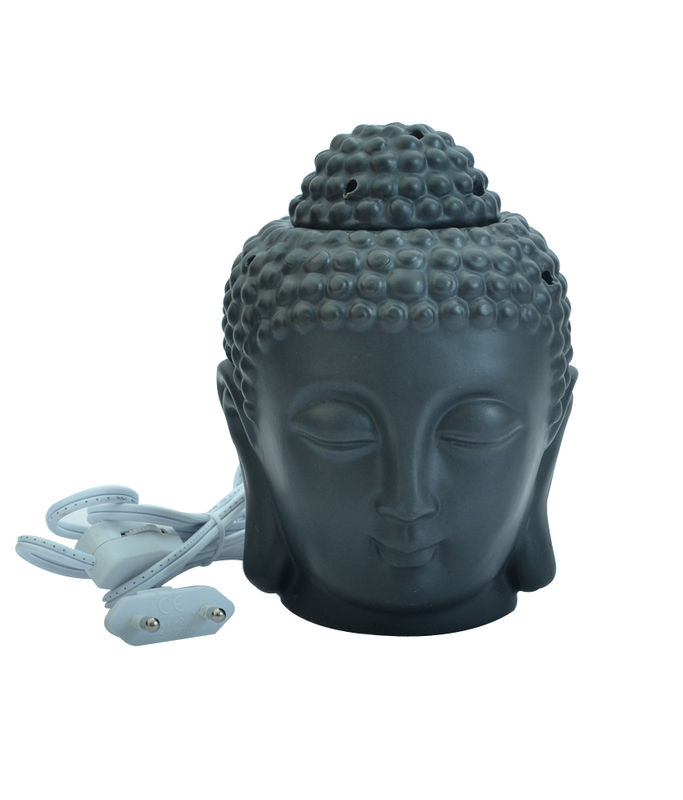 Aroma lamps are used to diffuse essential oils in Aromatherapy, Esoterics or just in order to feel good. There are two different types of aroma lamps: • Candle driven lamps use a small candle under a bowl to vaporize a mixture of water and oil. • Electrical lamps use a combination of electrical and mechanical principles to vaporize the essence. 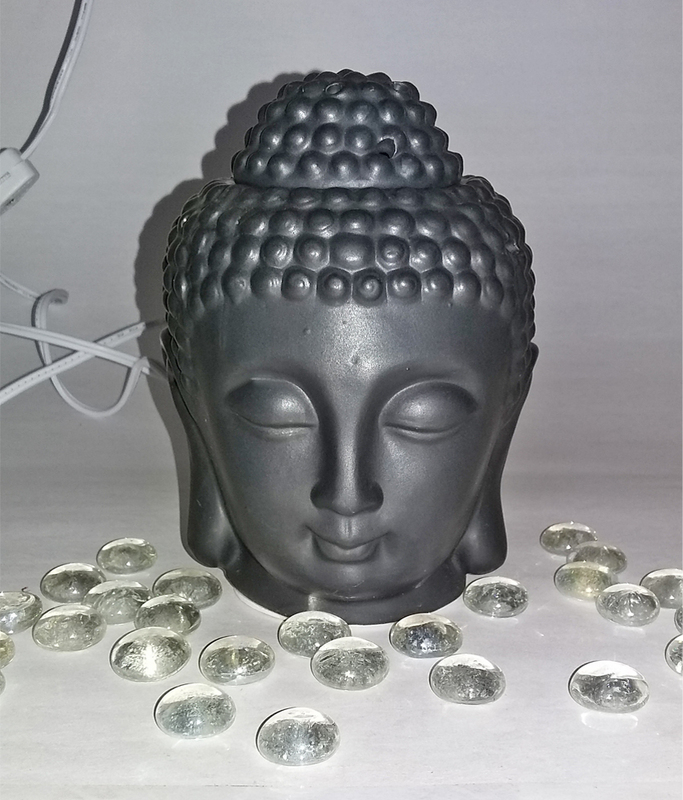 • This BUDDHA FACE Electric oil diffuser has beautiful Make and the light comes out of it giving an amazing effect to this lamp and creating peace and positive aura. • Also the upper section to hold water & essential oil is quite deep to hold sufficient water in one go itself. • It can also be used as a bed side lamp and will also help in creating good aura of positivity with your choice of pure aromatherapy oils • Clean it with soft & dry cotton cloth • Suggested aroma oils for good positive feelings are lavender, lemongrass , saffron ,rose and green tea ,rest you can select from a wide variety of Kriti’s aromatic oils. Product colour may slightly vary due to photographic lighting sources or your Screen settings.